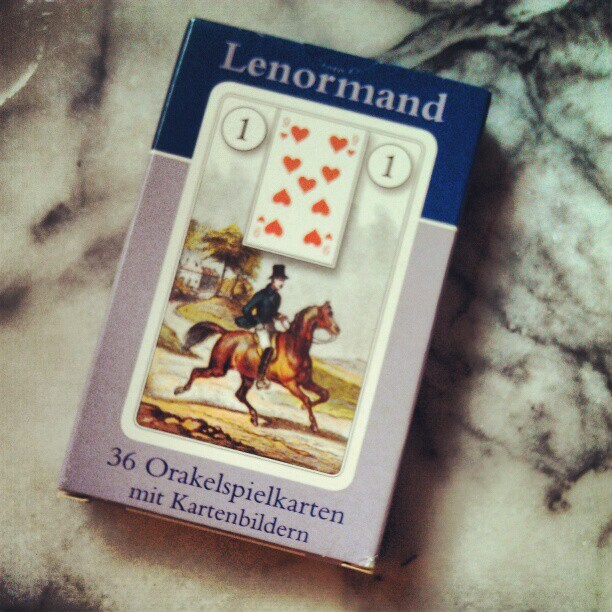 My favorite Lenormand deck is the Konigs Furt Orakelspielkarten mit Kartenbildern. lol That’s quite a mouthful, huh? 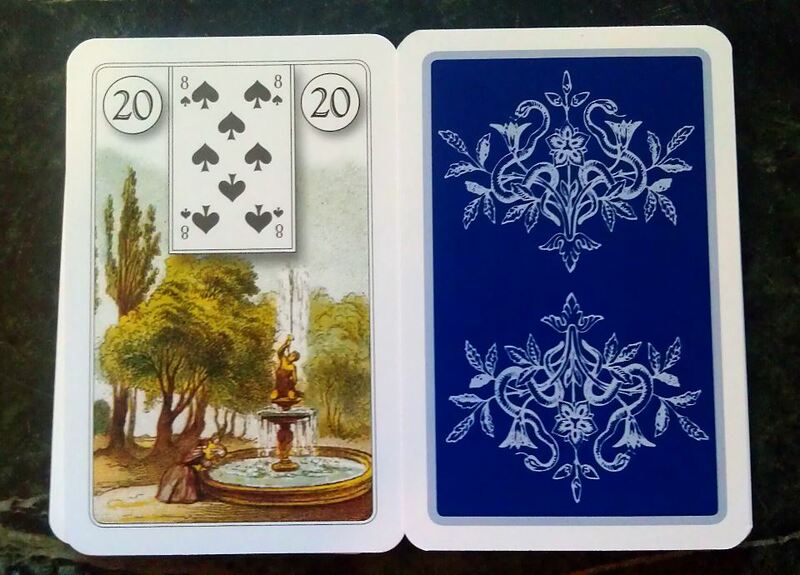 I love it because it has traditional images (Dondorf style) plus the playing card inserts. And the backs are very pretty too. 🙂 Easy to identify cards are a must for me.